We sail in three beautiful areas of the Greek Islands. All uniquely suited to our style of laid back flotilla holidays. 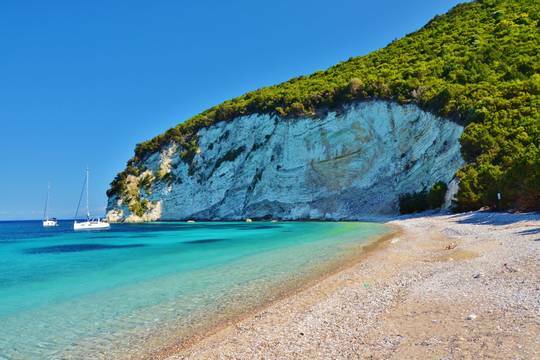 If you are new to sailing or looking to introduce family and friends in the most relaxed environment possible the Ionian Islands can't be beaten. 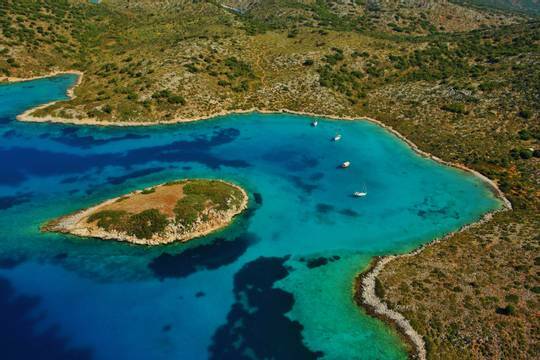 If you have done a flotilla or two before and fancy a little more wind the Saronic Islands is the perfect next step. If you are a keen sailor and want to tack your way off the beaten track the Sporades Islands offer brilliant wind and gin clear seas. Our Ionian Island flotillas are the perfect place to start if you are complete beginners or feeling a little rusty - our unique brand of guided sailing in the Ionian Islands is well within most people's capability! Enjoy easy days, with light winds. Enjoy sailing from bay to bay with swim stops along the way. The wind here is a little stronger than the Ionian, making it the perfect step up for sailors with some experience. The historic nature of the area means there are always things to explore on shore after glorious days spent sailing. Enjoy stunning bays by day and ancient Byzantine cities by night. When we sail in this area, we always wish we had another week, as there are so many places to explore! We are often amazed to find some harbours uncrowded, even in August and the welcome in each place gives you a taste of true Greek hospitality. Following years of badgering from our lovely regular sailors, for a flotilla in the Sporades Islands of Greece, we were thrilled to launch this new route during 2012. It has proven so popular that in 2016 we are launching our second flotilla in the area! 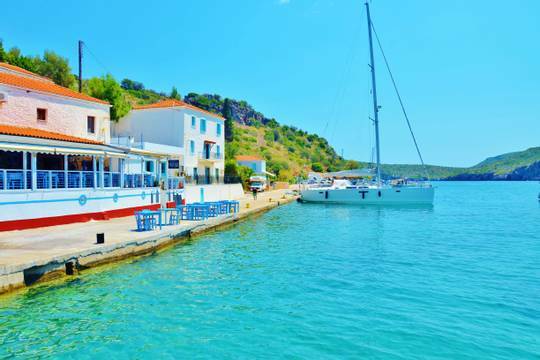 The Sporades Islands are our most popular area with keener sailors. The combination of gin clear water and good wind seems to be proving rather irresistible - we can't think why!? Amongst other things, they are famous for the regular summer Meltemi winds and as the setting for the 2008 ‘Mamma Mia’ movie.